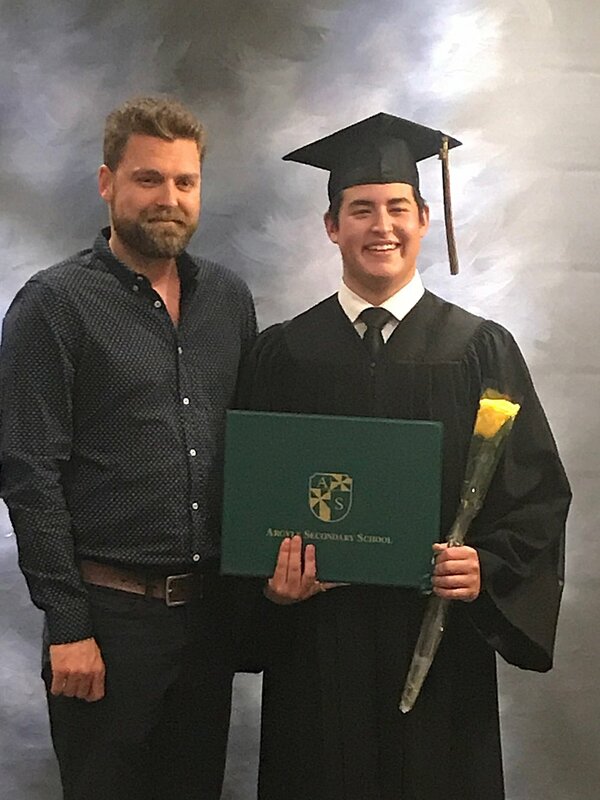 Saturday night, we were thrilled to attend Argyle Secondary's graduation ceremony at Queen Elizabeth Theater to hand out the 1st Annual KYBE Electrical Contracting bursary. We created this award after working with Argyle's Co-Op program for the last 3 years and seeing the hard work and dedication each student brings year after year. To qualify for the bursary, a student must be a graduate of the Co-Op program and intending to enroll in a Red Seal construction trade at BCIT. The chosen student will receive $750 (exactly half a year's tuition for a 1st year electrical apprenticeship). This year's recipient was none other than Darian Valoma, a recent Co-Op graduate that has been working part-time with KYBE since September 2017. We're happy to announce that he is already enrolled in his first year training at BCIT and will be returning to the team full-time as of July 2018. The Argyle Secondary Co-Op program has deep roots within KYBE as it is how our president, Kyle Robertson got his start in the electrical trade. His choice to create this annual bursary was rewarded when we saw Darian's surprise & appreciation to be the first ever recipient. We look forward to helping students pave their futures for years to come.